You are currently browsing the tag archive for the ‘Latin America’ tag. It seems that with their growing economies the BRIC countries enter a new creative era, in which costly projects like animated features are now possible. 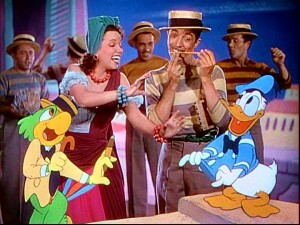 Especially Brazil is a surprising new country from which unique and distinct animation films sprout. In 2013 the Holland Animation Film Festival had shown the ambitious ‘Uma História de Amor e Fúria‘, this year it’s the charming film ‘O menino e o mundo’ (The Boy and the World). Surprisingly, given the extremely different animation styles, the two features have more in common than one would expect. According to its director Âle Abreu* the idea of ‘O menino e o mundo’ was conceived when the little boy character suddenly appeared in his notes when studying Latin American protest music of the last hundred years. The film tells about this little boy growing up in the countryside, near the jungle, who goes to seek his father, who has left for the city to work. On his trip he discovers the real world that is Brazil, far from his idyllic place in the hills. He meets cotton pickers, people in the cotton industry, and even discovers how cotton is shipped to some futuristic cities (vaguely resembling the US) to be made into clothes, which are shipped back to Brazil to be sold at ridiculous prices. Meanwhile, the film clearly shows the grand effects of the global economy on the lives of ordinary and poor people. Without reservation Abreu shows us cotton pickers being fired because they are old and sick, workers working ridiculously long hours in hot industries to produce cotton, only to be replaced by a machine in the end. We watch poor people living in favelas (slums), while advertisements on the streets and on television produce images of a happy life they’ll never be able to reach. We watch people who demand more freedom being oppressed by military police, in a particular powerful sequence in which a colorful bird of freedom is crushed by a black bird of oppression, etc. It’s this focus on social injustice that ‘O menino e o mundo’ shares with ‘Uma História de Amor e Fúria’. Unlike the latter film, however, Abreu’s film never becomes too heavy-handed, because we keep on seeing this world through the eyes of a child. To achieve this, Abreu uses a wonderfully naive style resembling children’s drawings and pastel crayons. All images are drenched in imagination and wonder, even those of the city and the oppressive forces, whose tanks look like large elephants. When the boy approaches the city, more and more magazine clippings are added to the colorful images. Abreu says he wanted to tell a tale about freedom, so he wanted to have freedom during the making of this film, too. He says: “A director should listen to the voice of his film, and listen to where the film wants to go“. The result is an absolutely gorgeously looking film, simply bursting in color and fantasy. The animation, too, is superb, especially when considering that most of it was done in Photoshop. According to Abreu the drawings were then printed, filmed, and imported in After Effects for compositing. Moreover, the whole film was made with a very small crew. Nevertheless, the makers have reached a high quality by any standards. To tell his story Abreu uses no dialogue. Yes, we hear people speak, but in a language that is constructed of Portuguese words spoken out backwards. Indeed, the voice actors had to act and sing in this backward language. However, in no way comprehensible dialogue is missed, for Abreu is perfectly capable of storytelling by images alone. 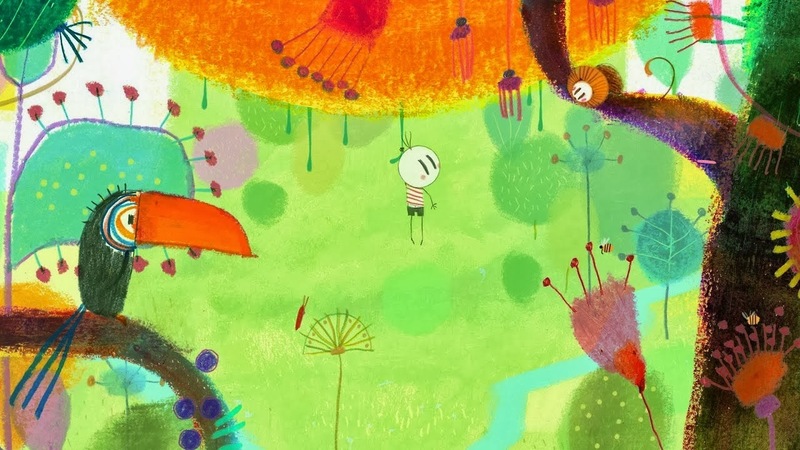 Added to the mix is the cheerful score by Ruben Feffer and Gustavo Kurlat, which is a perfect match to the colorful images. According to Abreu, even the sounds of nature are made by musical means, like hand claps for rain. ‘O menino e o mundo’ is a magical film of sheer delight, deserving to be shown everywhere in the world. And unlike American films, it doesn’t shun the big questions our world needs to answer. For this bravery alone, it deserves a large audience. * Quotations from Abreu are taken from his introduction and Q&A at the screening of his film at the Holland Animation Film Festival, March 20, 2014. Donald and the boys are on a holiday in Latin America. But Huey, Dewey and Louie only have eyes for their comic book. 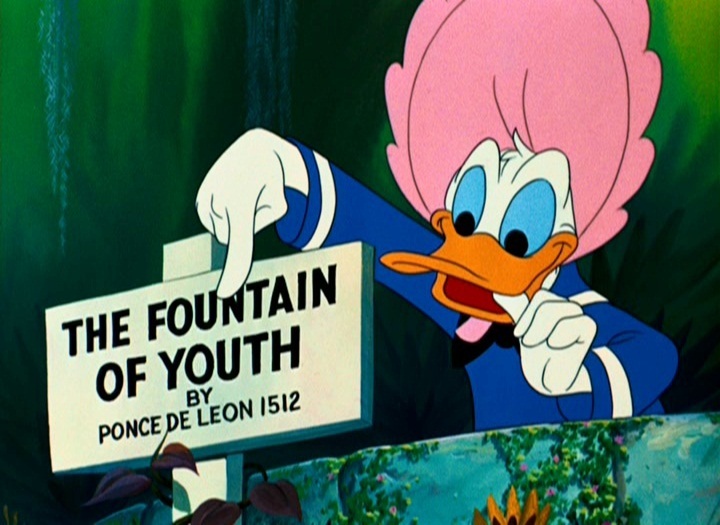 Donald then fools them by pretending a fountain of youth has made him younger. He even uses an alligator egg to make them believe he turned into an egg again. This leads to an encounter with the mother alligator, whose not amused. In the end we watch Donald and the boys fleeing into the distance. The backgrounds in this cartoon are extraordinarily colorful. The characters don’t really read well against these backgrounds, but their lushness is overwhelming and an extra highlight besides the gags.